Use algorithms to generate high-quality music. Is there a better alternative to Resonant Element? Is Resonant Element really the best app in Music category? Will Resonant Element work good on macOS 10.13.4? 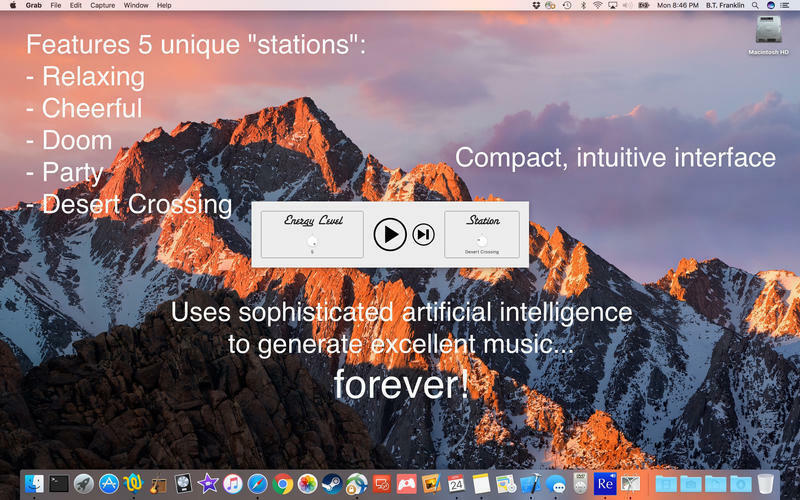 Resonant Element uses sophisticated artificial intelligence algorithms to generate high-quality music in a variety of genres endlessly. Its compact, intuitive user interface makes it convenient for playing in the background while you do other things. Resonant Element needs a review. Be the first to review this app and get the discussion started! Resonant Element needs a rating. Be the first to rate this app and get the discussion started!